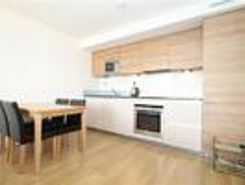 Pleased to market this good size two double bedroom apartment located in a premier spot in Millennium Village. 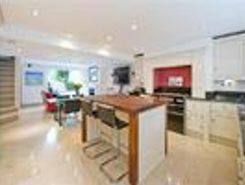 This home comprises of an open plan living/kitchen area, two double bedrooms and family bathroom. The block benefits from secure video entry . Located on the most sought after road in West Greenwich lies this magnificent six bedroom three bathroom period house that has been presented to the highest of standards. Set over five floors the property has a conventional layout offering a very . 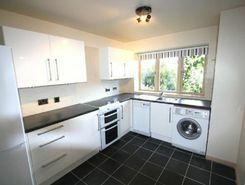 Now on the market is this spacious one bedroom apartment with a recently new fitted kitchen. Available from around 16th May 2019. All primary rooms face the river with a large balcony off the reception. The bedroom is with fitted wardrobes. Available furnished with off-street parking. TheHouseShop.com is the leading property marketplace in Greenwich in Greater London and has been helping landlords, tenants, sellers and buyers to save money when buying, selling, letting and renting property online. TheHouseShop is the only UK property portal that accepts listings from both homeowners and estate agents, so you will find properties listed for sale and to rent from high street estate agents, online estate agents, private sellers, private landlords and some of the UK's largest house-builders. Tens of thousands of home hunters use TheHouseShop's marketplace each and every day to search for property in Greenwich in Greater London and we can help sellers, private landlords and estate agents advertise their properties to this huge audience. Private sellers and landlords can generate more interest from buyers and renters by using TheHouseShop's marketing boost options. Thousands of Greenwich in Greater London landlords are using TheHouseShop's free tenant-find service to advertise their rental properties to tens of thousands of renters. With a huge selection of private and professional rental properties available on TheHouseShop marketplace, renters can find flats, detached houses, terraced houses, apartments, bungalows, maisonettes and more. TheHouseShop showcases a variety of cheap rental homes in top locations across Greenwich in Greater London and allows tenants to search for property by rent price, bedrooms, location and property type. Visitors to TheHouseShop will find a variety of Greenwich in Greater London rental properties available to rent direct from the landlord including DSS rental properties, studio apartments, flats, 3 and 4 bedroom homes, semi-detached houses, terraced houses to rent and more. Tenants will find a unique selection of property on TheHouseShop.com as many of our private landlords will not advertise their properties on other major property websites. In the competitive Greenwich in Greater London rental market, tenants can save significant amounts on letting fees by choosing to rent direct from a private landlord. People searching for affordable rooms to rent in Greenwich in Greater London can find cheap rental options in TheHouseShop's Flat Share section. Renting a property in Greenwich in Greater London can be expensive, but tenants can find affordable Flat Shares in Greenwich in Greater London's best locations for a fraction of the price of a whole property. Tenants can use TheHouseShop's guarantor service to help secure their perfect rental property in the highly competitive Greenwich in Greater London rental market. Greenwich in Greater London landlords can use TheHouseShop.com to get a free online rental appraisal and set the perfect price for their property. Landlords can access a range of essential landlord services on TheHouseShop marketplace including comprehensive tenant referencing checks, hassle-free rent collection, landlord insurance products and more. Private landlords can use TheHouseShop's tenant referencing service to run background checks on renters, credit check tenants and view a reference report showing if the tenant will be a reliable and suitable candidate for the property. Home hunters using TheHouseShop can create a free property alert to stay up to date with the latest new rental properties in Greenwich in Greater London matching their needs with instant email updates. 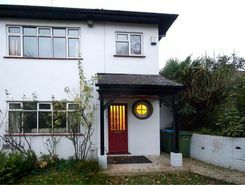 Property investors and private landlords can search thousands of cheap Buy To Let investment properties from house builders, estate agents and private sellers throughout Greenwich in Greater London on TheHouseshop.com.